This is a bonus episode of Texas A&M Health Talk. We bring you a recording from the Blue Promise podcast about accessing health care in rural Texas, featuring our own Nancy Dickey, MD. 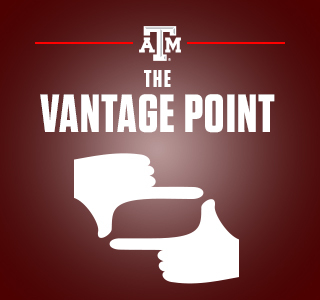 Lindsey Hendrix: Thanks for joining us for this bonus episode on Texas A&M Health Talk. Today we’re featuring a special recording from our friends at Blue Cross and Blue Shield of Texas. The following conversation about rural health care was recorded for their Blue Promise podcast. To hear similar health care conversations for Texans, subscribe to Blue Promise on SoundCloud or wherever you download your podcasts. Listeners can also watch behind-the-scenes recordings of Blue Promise on YouTube. Enjoy. Dan McCoy: Of the 254 counties in Texas, more than two thirds are deemed rural. In this edition of Blue Promise we’re gonna talk about the challenge of accessing health care in these communities. Announcer: You’re listening to the podcast version of Blue Promise, where health issues important to Texans are discussed in candid conversations, hosted by Dr. Dan McCoy, President of Blue Cross and Blue Shield of Texas. Dan McCoy: Thanks for joining us for this edition of Blue Promise. I’m Dr. Dan McCoy and I’m the President of Blue Cross and Blue Shield of Texas. I’m here with my co-host, Ross Blackstone. Ross Blackstone: Thank you, Dr. McCoy. We have two distinguished guests here with us. Dr. Nancy Dickey is executive director of the Texas A&M Rural and Community Health Institute, and Dr. Bob Morrow is Southeast Texas Market President for Blue Cross and Blue Shield of Texas. Thank you both for being here. So, Dr. Dickey, tell us a little about your role at Texas A&M Rural and Community Health Institute and what you’re doing to address access to care in rural parts of Texas. Nancy Dickey: The institute was created 15 years ago, actually, in order to support small hospitals. We discovered as we reached out to physicians across the state that the small hospitals didn’t have the capacity, didn’t have the depth of staffing, they didn’t have the capacity to go buy computer systems for reporting systems, quality improvement systems, peer review systems. So the Institute, lovingly called ARCHI, began to create those programs in a fashion that we could afford to sell service to small hospitals at a rate they could afford. In the last five years, we’ve become much more involved in researching whether those hospitals are actually gonna be able to keep their doors open. Health care continues to change and the challenge becomes ever-worse in terms of them trying to maintain financial viability. Ross Blackstone: Okay, so do you guys work directly with providers in Texas? Nancy Dickey: We have contracts with several hundred physicians and nearly a hundred rural hospitals. Ross Blackstone: Okay, so we’re gonna dig in in a minute much deeper to some of those issues but first, Dr. Morrow, you have some experience dealing with rural health care issues as well, right? Bob Morrow: Well, actually, it turns out I do. And to back up, actually, for me, a bit, my experience started as a fourth-year medical student when I did a rural preceptorship program actually with Dr. Dickey. As a fourth-year medical student I spent a month with her in her practice in Richmond-Rosenberg, Texas, which was really probably my first true introduction to maybe some of the challenges and opportunities of a small rural-based practice. And then, if you fast-forward a number of years, I actually was Medical Director for Quality for The Rural and Community Health Institute at Texas A&M. And at that time, I actually spent quite a bit of my time going around the state, visiting with physicians, working in rural areas with hospital administrators who were working in rural areas, and really gaining I think a pretty good understanding of some of the unique challenges that they faced as they tried to provide access to health care for their communities. Dan McCoy: I grew up in a small town so I grew up in rural Texas, so Nancy and I have known each other a long time. Most people would look at this rural health crisis and they think, is this just about keeping rural hospitals open or is the process more complicated than that? Nancy Dickey: It’s actually much more complicated than that. Many of these rural hospitals got there when everything we knew how to do, I hate to say it, but maybe when you and I were growing up in smalls towns, could fit in that iconic doctor’s black bag. And he could get in the back of his truck or his conveyance of some kind, go to the house, and all modern medicine was right there. Modern medicine’s changed. And a great deal of the technology that we want access to, if we’re the patient, simply can’t be supported in a very small hospital. Yet, 20% of the population of Texas, 20% of the population of the country, live in rural areas. That’s 60 million people across the country, 3 million people here in Texas. So if you’ve got great big cities but then people scattered hundreds of miles out and you can’t take the technology to them, how do you get access to health care? And that’s the real question. What can we do in small towns? How can we make sure if you choose to live there and oh, farm the food that I eat and pump the gas that you put in your car, how do we make sure you have appropriate timely access to health care? That’s the real bottom-line question. It just happens that health care in the United States currently revolves around hospitals. Dan McCoy: Okay, so I’m gonna kinda get on that path ’cause I like that analogy. I always tell people that fuel, fiber, and food, that they’re the country’s greatest assets, come from these rural areas. And so mobility has become part of the issue, right? I mean, in some respects, getting people to move to these areas is challenging because they don’t have access to health care services. And the flip side’s also true. People within these areas are leaving the community for services, which may be truly appropriate, but America’s health care funding is often geared towards those procedures and not geared toward many of the things that need to be supported in the community. True? Nancy Dickey: Extraordinarily well said. The things that actually provide the meat and potatoes to a hospital are procedures, high-tech care, and yet we know that the best health care rests on the foundation of primary care, on chronic disease management, on prevention and early detection, those things all should, could, and ought to happen in the small towns. But how do you get physicians, nurses, pharmacists to go to a small town when you say to them, “By the way, the nearest hospital is 75 miles from here.” How do you get patients to understand that’s high-quality care in a small town, even though when they need their hip replacement or their heart bypass, we’re gonna send them to the next nearest big city. Part of it’s a communication problem, part of it’s a culture change problem. Dan McCoy: So we, Bob and I, had a recent opportunity to travel out to DC and we were talking about some of these challenges. Talk a little bit, Bob, about the uninsured. That’s a huge, huge challenge for these rural areas because often the uninsured and poverty levels are much higher in these communities. Bob Morrow: Well, absolutely, the uninsured poverty levels are higher and we also know that we tend to be dealing in the rural areas with an older population and actually with a population with a little bit of a higher burden of chronic illnesses than in the urban areas. And unfortunately in Texas, we are very far down the list, actually far up the list in terms of the numbers of uninsured. And to your point, that’s even worse in our rural areas. So it’s sort of a bad perfect storm, if you will, in terms of an older population, a sicker population, and a population that is less likely to be insured in a state with a high population of uninsured. Nancy Dickey: And go back to your mobility issue, alright. We talk about the mobility if you may have to go to the health care. But older, poorest, sicker—those are people that generally don’t have meaningful transportation to either take a day and drive into the city, or a car that they think will make it from small town to big city, or the money to put gas in the tank to get there. So now you have a population that needs the care and has no way to access it. Ross Blackstone: So let me just share a couple of statistics to put things into perspective for our listeners and our viewers. There are 185 counties in the state of Texas that have no psychiatrist. 147 counties that have no obstetrician. There are 68 counties that have no hospital. And 35 counties have no physician at all. So, my question to you guys then is, is that what we have to work with or is it actually getting worse? Are hospitals closing down, are physicians just not entering into the work force and they’re choosing other occupations, what’s the situation like? Is it getting any worse or? Nancy Dickey: It’s getting worse. We have, all across the country, but Texas as we often do leads the nation, is closing rural hospitals. We’ve closed 20 rural hospitals in the last decade and a half and there are several that are sitting right on the edge of closing now. We graduate more medical students from Texas medical schools than we ever have in history, but we still aren’t training enough primary care. Plenty of people are going into medicine but we talked about the fact that high-tech is what pays the overhead for big hospitals, high-tech run by highly-paid specialists, we don’t value and therefore we don’t pay for primary care. The neurosurgeon, the neonatal specialist, are unlikely to live in tiny town. But primary care physicians are badly needed in tiny town and yet, we tell these kids in medical school, “You’re gonna be one of the lowest-paid people around “and then you’re gonna have to go someplace “where you’re worried about “whether your kids can get an education “and where you, by the way, “will probably drive for your health care as well.” So the problem is getting worse and we don’t want that to be the problem for forcing even more people out of rural areas, because as Doctor McCoy said, that’s where our food, fiber and fuel comes from. Dan McCoy: So Nancy, we’ve done a couple things here. We haven’t just sat around, we’ve made some policy decisions that were meant to address some of this. So let me kinda run through a couple of those. ‘Cause I think it’s the law of unintended consequences. So, several years ago, I sat and watched in the gallery of Legislature as they passed some enabling legislation around freestanding emergency rooms, and one of the things that was talked about was we needed access to emergency care. Has that helped or hurt? Nancy Dickey: Yes. It has given us the capacity to put freestanding emergency rooms in rural areas and for many of these communities, the demographics, the number of people, say what they really need is chronic primary care and emergency care, not a hospital, alright? Unfortunately, that legislation didn’t say you could only put those where there is no other hospital access, and so we have freestanding emergency centers, which tend to go where the population is, in the urban areas, where we really don’t need them. Nancy Dickey: Absolutely it did. I know people living in small towns who drive to the city to work in urgent care centers. Dan McCoy: Okay, it’s not our first rodeo here so I’m gonna go down the list here. What about financing? Have we done things through public policy and financing that’s hurt rural hospitals and health care communities as well? Nancy Dickey: We’ve done some good things. I mean, I’ll give some credit where we can. The ability to do loan repayment if your practice in a rural area has in fact attracted a number of doctors at least long enough to pay off their loans. And some of those will then fall in love with the lifestyle and stick around. Unfortunately, Medicare and Medicaid don’t pay well, that’s the preponderance of payers in rural areas, and they probably pay at least as poorly if not more poorly in the rural areas. Ross Blackstone: And that makes up 45% of most rural hospitals’ income, Medicare. Nancy Dickey: That’s exactly right, yeah. So no, I don’t think we have done anything that would fix that and then we continue to heap things on. So you talked about the number of counties that didn’t have OB/GYN. Lots of those counties did have family physicians that delivered babies but we’ve recently passed regulation in the state of Texas that says in order to be able to take care of most pregnant women, ’cause you might need to do a C-section, you need an OB/GYN. Not somebody who can do a C-section, you need an OB/GYN 24/7 within 30 minutes of the hospital. So we’re gonna see a whole bunch of places that have been delivering babies close their doors. Dan McCoy: Delivering babies is not something you can deliver via telemedicine, right? Nancy Dickey: It’s really hard. Bob Morrow: Yeah, very tough. Bob Morrow: Well, I was just gonna add to your stats ’cause it is kind of compelling talking about OBs when you mentioned that 147 counties don’t have OBs in the state of Texas. If you actually put those together, that would be like saying Nebraska does not have an OB. Dan McCoy: We’re gonna close this topic, but I wanna kinda focus on one other challenge I think we have. Would you say it’s hard to talk about these issues, to some degree? Because everybody starts to think, oh my goodness you’re gonna close our hospital, and if you do, it’s gonna kill our community. You remove our schools, it’s gonna kill our community. But there is an issue where we really need to start talking about holistic solutions, right? But that hospital issue is political. Nancy Dickey: It’s extraordinarily political. And I’ve actually watched it happened. If you can’t get the conversation out in front of the decision-making, then towns can be in serious trouble. So I watched a small town, their hospital, with very little notice, closed the doors, and within two weeks most of the providers, doctors, advanced practice nurses, left town, found another practice some place. So it’s terribly important that we have the conversation with communities. Not with the hospital board, not with the school board, but with the community to talk about, everything says that within the next three to five years, this hospital is gonna close. You cannot financially keep it open. So let’s talk about an alternative that will hopefully keep your doctors here, keep your nurse practitioners here, keep access to care here, even though you don’t keep in-patient care here. And that conversation is actually one of the things that our Institute is investing a great deal of time and energy in is, how do you approach the conversation, how do you keep people at the table long enough to talk about alternatives because the minute they hear possible closure they close the conversation and walk out the door. Dan McCoy: Well, that’s what we’re gonna do here. We’re gonna spend the next segment actually talking about solutions, and I think you’re right on point. I think many times people walk away from this conversation because they think they need to keep the hospital open and any other kind of thing that’s not politically correct, and what ends up happening is you put money and failing infrastructure that’s crumbling because you can’t really generate the investments because the dollars aren’t there, and then you wind up with the doors shutting with little notice. Ross Blackstone: You know, in our previous segment we talked about some of the issues, outlining and defining some of the issues impacting health care in rural parts of Texas. Now let’s start talking about some of the potential solutions. Doctor Bob, I’ll start with you. What are some of the preliminary ideas that we have to address this issue? Bob Morrow: A little over a year ago we had a conversation about some of the issues facing rural communities as they strived to have access to quality affordable health care for the people who lived there, and I’m very excited that, as those conversations sort of evolved, what has materialized out of that is actually I think a very robust collaboration with us and the Texas A&M Health Science Center and The Rural and Community Health Institute around really trying to identify I would say innovative solutions for providing access to health care in rural areas. Nancy Dickey: We hope that one of the great strengths will be the ability to take really big data and ask ourselves, what happens when a hospital closes and health care providers leave a town? People obviously go somewhere for the care, but do they end up going too late? Do they have worse outcomes? Is the cost greater because they didn’t get care in a timely fashion? Bob Morrow: When I look overall at what some of the things that really excite me about this project, I think the word innovation comes to mind because this is not about just finding a way to basically just funnel more resources into a model that is probably a 70- or 80-year-old model that just is not effective now. This is really about, one, using big data to identity which communities might be at risk, why they might be at risk, and then develop new ideas that are able to go into those communities and say, you know, this is probably a better way to provide access to health care for the people that live here. Nancy Dickey: I think that by putting people together and saying to them, “Not more of the same, not tweaking around the edges, “but let’s think outside the box” that we can really come up with some solutions. Not just for Texas but probably for the whole country. Bob Morrow: And I think that’s key, and that’s another reason I’m so excited about this collaboration is I do think a lot of people will be looking at us and this collaboration in terms of, are there models that might be developed through this that can serve the rest of the country? Dan McCoy: Bob and I had the blessing or misfortune of recently being put on the spot by a member of Congress kinda asking, “What’s the solution? “Would you just spit it out. “You’re going to A&M to ask to do this work, “but what’s the solution?” And I had to come up with an off-the-cuff solution so I’m gonna throw it out and I’m gonna throw this out to you, Dr. Dickey, and I want you to kinda respond and see how close I was. And I wanna get the tough one on the table right out the gate because I think there’s some funding issue here. Do you think, tell me a little bit about the role of, we may need to fund more infrastructure in the form of Medicaid and Medicare and government dollars that we’ve historically done. Nancy Dickey: That is, in fact, a primary solution to almost any of the others we’re gonna put on the table. The single most common thread in terms of places closing is they can’t bring in enough money to support the infrastructure. Even if they shrink the infrastructure, they probably can’t afford that. So with a heavy Medicaid, Medicare population, we need to pay at a rate that takes into account what is backwards in a lot of people’s minds. They think it’s cheaper to live in small towns. Well, it’s not if you’re having to bring in professionals and you’ve got to ask them to do a different kind of workload than they would perhaps do if they were living in the city. Dan McCoy: And that was actually one of the components that I got asked about was that, it may be okay that things are more inefficient to be delivered in a small town. If you’re gonna support the field, fiber and food, you may have to pay more to get that delivered because it’s just not as efficient, you don’t have 50,000 people to scale a lab around. Is that fair? Nancy Dickey: Exactly, exactly. Very good answer. You may have to pay more to say to somebody, “You could get a job in Dallas or you can go to a small town “but we’ll pay you 10% more than you would, “for that same job, if you stayed in Dallas.” And, again, sometimes it’s the reverse of that, when you start looking at pay scales. Although many small towns tell me their rural primary care physicians, family physicians, get paid pretty well but they work extraordinarily hard. I think, well, go ahead. That’s solution one, I think you were right on the nail. Dan McCoy: Okay, the other one, and Bob may wanna chime in on this one too, is that alternative practice models. So, we tend to think about traditional care, the Marcus Welby, the hospital, that sort of thing in a rural community, but we may have to get creative. And some of these technologically-advanced ways to practice may be part of the solution. Nancy Dickey: I’m gonna agree with you, partially. Nancy Dickey: I do think that we have to become very innovative in terms of what can safely and effectively be delivered in small towns. I wanna be very careful as we do that that we not somehow tell people in smalls towns that they should and must accept a different standard of care. So while I believe that all of health care is moving to team care where we have an advanced practice nurse, we have a PA, we have a couple of physicians, we have pharmacists, to tell people that having an NP is the same as having a doctor, is simply not true. We’re trained differently, we’re trained to do different things, and when we come together as a team, we’re powerful. But to suggest, as some would, that we’ll replace physicians with non-physicians and that will be good enough, I think that’s saying to the rural area, “We’ll make sure you have access “to bandaids and Mercurochrome “but we’re not really gonna give you access “to the breadth of health care.” So new models, yes, as long as they’re based on something that says, here’s the standard of care and we’re gonna meet that. Bob Morrow: And I think that’s actually very important and I think in that model, in that team-based model, that would be a physician-driven model, there may be opportunities to do things like repurpose, retrain individuals who are already in those communities. ‘Cause most of them have somebody who functions as an EMT. And they also have a population, as we’ve already discussed in the last segment, that carries a high chronic disease burden. Maybe they can actually help act on behalf or in a team-based care model to make sure that those people get their needed screenings, that they’re getting access to the pharmaceuticals, things like that, in an appropriate fashion. Ross Blackstone: Twice as many. Dan McCoy: So twice as many. So I guess where I was going in the path was, there may be some creativity around putting social workers that are video-enabled into family physicians offices to help manage depression better, to improve everything from diabetes care to cholesterol adherence. Nancy Dickey: And that is maintaining exactly what Bob and I were referring to, standard of care. Telemedicine for behavioral health works beautifully. Actually, telemedicine for post-operative care often works very well. You just wanna check the wound, make sure it’s not infected and so forth. Telemedicine to deliver babies? Yeah, doesn’t work so well. So telemedicine is the solution for a chunk of this. Watching the chronic patient, things that maybe we’ve been doing in the doctor’s office and didn’t need to be. We had a student that actually said, mailmen go to the door of almost every house every day. Could we give them a little training to check in on Mrs. Smith and say, “How has your sugar been running, Mrs. Smith? “Have you been checking them? “When was the last time you saw the doctor?” I thought that was a pretty inventive solution. Community health workers. Kids coming out of high school with the training like a certified nursing assistant, maybe six, eight, ten weeks, but they can help get people to the doctor’s office, follow up to make sure they filled their prescriptions, help them get their next appointment. Those don’t require an advanced practice nurse, they don’t require a physician, they require somebody to help the elderly, the folks who perhaps aren’t quite as tuned in to how to use technology to make things happen, and they end up getting better health care. So I think it is in fact a team approach. It’s using people we haven’t traditionally used, whether it’s our EMTs or a new group called community health workers, or maybe even mailmen, but it’s also, back to that community message, that some things you’ll probably have to leave town for and we gotta find the right way to get you timely to the right level of care and then hopefully quickly back into your community. Dan McCoy: Okay, and the final one, and we’ll see if you agree with me on this one, was alternative payment models. So what’s happened is, as the world has kinda gone along, we’ve developed these accountable care organizations in big cities and they’ve been out to add additional value, which basically means they deliver high-quality care, more of it, at a lower cost. And I would argue that a lot of those were generated in urban areas because health care in urban areas is extraordinarily expensive because of the amount of technology and the access to these expensive treatments and that sort of nature. But if there ever was a place in America where we needed to deliver more with less and deliver high value and high quality, I would argue it’s rural America. Care to respond to that? Nancy Dickey: The problem, and I think Bob might have been at ARCHI at the time we hosted something called The Tyranny of Small Values Conference, when you’ve got small numbers, say you’ve got a town of 3,500, it’s hard, when you talk about ACOs, you guys talk about 100, 200, 500,000 patients. It might take 20 of my small towns to come anywhere close to that. So can we put together a value base in a fashion that, unlike most ACOs, says, gotta take all comers ’cause it’s everybody in this small town, not just the ones who are insured by a particular entity. Keeping in mind that you’re going to have to send a lot of the high-ticket items out, so where do I get measured on my savings? On what I do locally or what I ship out of town some place? I do think, I think there’s a great variety of roles. We’ve actually talked to some small towns and said, we know everybody from this town goes to that next biggest city to get any meaningful hospitalization. You need to be down there knocking on the door and saying to them, “When you discharge that patient, they’re coming back to tiny town and if we give them good care, they won’t be a readmission for you. But if we don’t know they’re coming, we don’t know what their medicines are, you haven’t communicated with us, we’ll double or triple your readmission rate for the people from our town.” Now, the big city gets the ACO and they get to pocket the savings if I do my work well. Small towns need to be in there saying, “I want my share of that cause I’m the one that helped create it.” So there are ways, even in the existing value base, that we ought to be recognizing where some of those savings come from. Dan McCoy: And Bob is certainly gonna have an opinion on this one and this was the fourth one, which I didn’t really talk much about with the congressman but I think it’s important, I’d love your response about it. And that is social determinants. You know, a lot of people talk about rural health care, but I know in my hometown where I grew up, there is no grocery store, there is a convenience store. So people are eating and buying their food out of a convenience store. There’s people in that community that clearly qualify for things like tax credits for their children or enrolling their children in the Affordable Care Act products of some nature, but there’s no social support network locally to support telling them how to do it or to teach them, walk them through the process. So, how important are maybe solving some of these social determinants of rural living? Bob Morrow: Very significant problem, huge problem. And interestingly enough, that’s a big problem even in urban areas. The whole issue of social determinants in health and how that impacts the overall health of a population is significant in urban areas, it’s significant in rural areas. And if you really wanna move the needle on actual health of a population, you’re really not gonna be all that successful, or at least not completely successful, if you don’t pay significant attention to those social determinants. And, of course, those are very, very difficult to move. One, often they’re very cultural. Two, we don’t have good at all payment mechanisms to recognize how you move the needle on a social determinant of health. I think as we move towards value-based care, and particularly a primary care-driven model where a practice has true accountability for a population and is rewarded for effectively caring for that population, the ones that are ahead of the pack are the ones that are gonna figure out ways to meaningfully address social determinants of health. I would suggest, and I’d be interested in Nancy’s opinion on this, but I would suggest, while it’s a similar problem, I think, to solutions in rural areas and in urban areas, it may actually be very different. Nancy Dickey: Well, I think there’s need for infrastructure, particularly in the rural areas. I think urban areas tend to have not-for-profits or even government agencies that can tell you where to get your food stamps or if you qualify for food stamps. If I’m a practitioner, I can say, “Go down to the County Health Department” or wherever. Small towns often don’t have that infrastructure of, where do I go to even get the answers. But I agree with Bob. They’re very similar social determinants issues, urban and rural, and a big piece of the problem is that it’s not a matter of recognizing, but if you have food and security in Texas, it’s very difficult to qualify for food stamps or SNAP in order to have somebody help you buy food. If you have housing insecurity, we’re actually having this discussion locally, the cheapest housing in Bryan-College Station is very old mobile home technology. It often has mold and leaks and it’s not terribly safe, but if that’s all you can afford, that’s probably better than being on the street. I don’t think that the things that normally pay for health care are able or have in their focus that food and housing and support networks are part of the solution, and yet, those are the very things that cause a lot of the chronic illnesses to continue being as bad as they are. We talk about the opioid crisis, which is ostensibly worse in rural areas. Part of the problem, again, is, where is the physical therapist? Where is the massage therapist? Where is the behavioral health counseling piece? So if all I’m left with is a prescription pad for narcotics, guess what my chronic pain patients are likely to get. Now, we know those other things all help, who’s gonna put them there? And who’s gonna pay for them once they get there? So, I think we have to address the social determinants in order for this to happen, but that’s really a society problem, it’s not a health care problem. Other than the fact that if we don’t address them, we don’t get to maximum health. Ross Blackstone: Well, I think I can honestly say I’m excited to see the work and to see what comes out of this report, and I think there’s a large part of America that’s gonna be looking toward the results of this work to see what the direction needs to be and what the solutions are. So, Dr. Dickey and Dr. Bob, thanks for being here today for this episode of Blue Promise and thanks for joining us. To view this conversation in video format, search Blue Cross and Blue Shield of Texas on YouTube. Blue Promise is a production of Blue Cross and Blue Shield of Texas, a division of Health Care Service Corporation, a Mutual Legal Reserve Company, an independent licensee of the Blue Cross and Blue Shield Association. Copyright 2019, Health Care Service Corporation. All rights reserved.